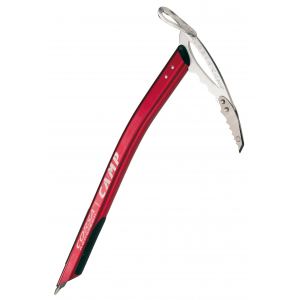 SKU: f11b06aea754 Categories: Alpine & Ice Climbing, Climb, Ice Axes;Climb, Products Tag: C.A.M.P. The C.A.M.P. 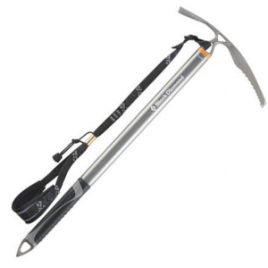 Corsa Nanotech Ice Axemost is one of the most advanced mountaineering ice axe on the market. Employs the same 7075-T6 aluminum alloy as the hyperlight Corsa, but features innovative Sandvik Nanoflex steel reinforcements on the pick and spike. 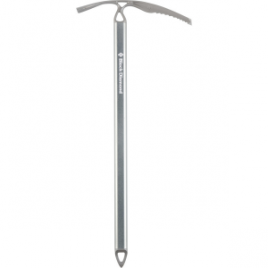 The steel components dramatically increase the durability and strength of these critical points without significantly increasing the weight of the axe. In addition, the Corsa Nanotech has an aggressive single-curve shaft that provides better clearance without interfering with walking or plunging performance. 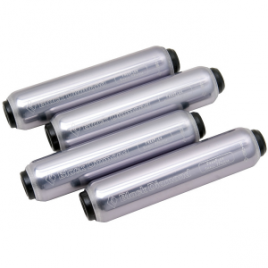 Can be fit with either the sliding leash (1305) for mountaineering or the Alpina leash (1304) for alpine climbing.